Sure, I seem to be the only one buying at my Hastings. In fact, I have an extra clear and gold (opened) if you are interested. I am happy to go grab some standards for you (with slicer and hat), but naturally can't guarantee the color. Send me a PM with what you specifically would like. I'm in the UK and ignored the original KS as I had no idea who/what KoS are/is and didn't see the awesome potential of humanoid Glyos dudes. Now I can't get any over here so I am hoping they come back in a way that means I can get some shipped over. (Hastings won't ship internationally, welovefine has sold out). They look awesome, I have no idea why I ignored them so readily! I really wish these weren't blind bags. $15 for a named (can't army build named characters) duplicate figure isn't favorable, especially when these guys don't really have much more building capability when you have a ton of them. 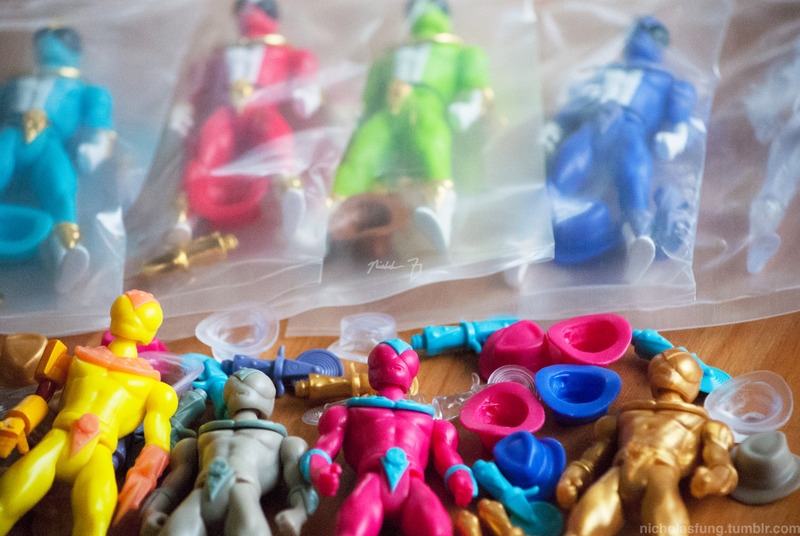 I can deal with duplicates in things like Mega Bloks blind bags because they are so cheap so it isn't much of a loss. Cappy is my hero! Thanks to him I got these guys!!! As you may have seen, Doughty posted about the KOTS project, including links on where to buy. I've opened up the clear knights for sale as a thank you to the Glyos community. Regarding the Phase 2 armor, it's being sculpted as we speak. This is likely to be a resin release. There will actually be several resin upgrades available in the future, most of which at an event scheduled for June (with Clutter). Other than that, I can confirm there will be a convention exclusive later in the year. Not sure yet if it will be SDCC or NYCC or Designer Con or all three. But it is a fan requested variant. Anti_Santa, you should speak with Daz Hyland, I believe he's been buying in bulk for the UK fans. DM me and I'll give you his contact info. I'd love to get in on that action. I bought a couple of these from Hastings online. 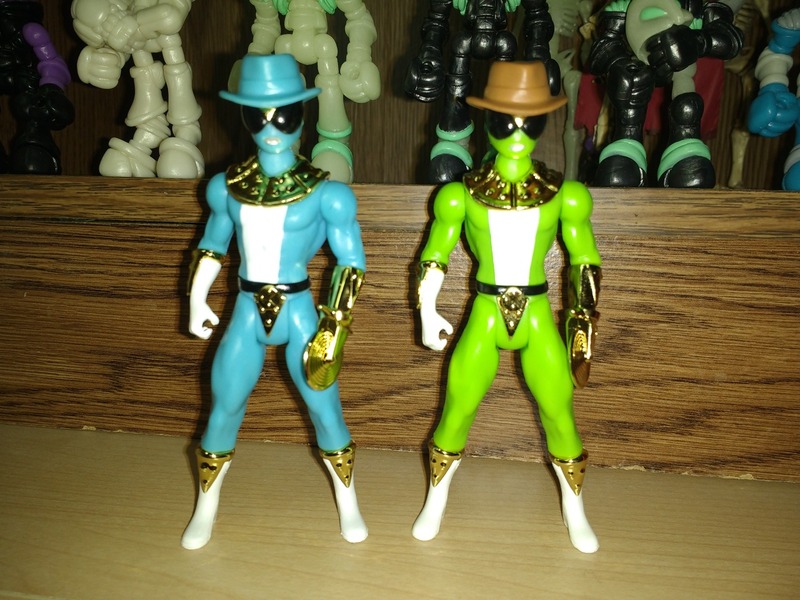 Naturally, I got two lime green figures - so, if anybody in the US (or overseas) wants a lime green, send me a PM. It looks like Hastings may be closing if they don't find a new buyer. Toyetic wrote: It looks like Hastings may be closing if they don't find a new buyer. I saw that. That stinks. Unfortunately I don't have a Hastings near me, but any time I'm in west or east texas I make sure to swing in one of them and see what they have. I'm super sad to see this happening. I love hastings, not just as a figure collector, but as a movie guy as well. I remember when I found it about 6-7 years ago. I frequent the store about one or twice a month normally. Hopefully they will be able to re-organize their debts (whatever it is Chapter 11 lets a company do) and they will continue on. They're the only thing like a geek store for 100 miles around me. The guy is the toy buyer for Walgreens, and everyone is talking about the tease of the presumably exclusive Transformer in the background. But is that not a Knight of the Slice cut off on the left side near Iron Man's foot? Another tease, or just a messy desk? Yeah thats a KotS the supper rare pull from the blind bags. Im sorry... This is just too cool. There has to be a law against something this cool. Apologies for not checking in for so long. Things are ramping up for the Knights again so I figured I'd say hello and prime the pump. It really breaks my heart to see all the troubles they are going through. The whole buying team were awesome people and I hope it gets sorted. I actually reached out to buy back all the remaining KOTS stock, but they aren't in a position to do that. I have no idea what will happen to their exclusive assortment. It could end up in liquidation close-out or a landfill. So suffice to say, Wave 1 is looking a lot more rare than I ever anticipated. I wanted to get a head count for who is going to attend SDCC. I have a release planned for SDCC, and it's one that is directly born of the awesome feedback you all have shared with me. We Love Fine will be carrying it and potentially a few surprises. DON'T FRET if you are not attending SDCC. I will make everything available online afterwards, highly unlikely it will sell out. I'm in business to get every customer as much as they want, though it may not be in the most immediate fashion. If there is interest, I would also love to set a meet up time. Maybe saturday? Let me know. If you like to hear about things first, please follow https://www.instagram.com/jessedestasio/ & https://www.instagram.com/toypizza/toy%20pizza on instagram. It is going to be a very busy Q3 + Q4 for KOTS. I will try to pop in here as often as I can, but for day to day sneak peeks, Instagram is best. And by the way, thank you guys so much for everything. Every time I pack up a envelope heading to a name I know from here, it makes me giddy. Some Knights of the slice customs, you can find more on Instagram and tumblr #knightsoftheslice. Cthulhu of the slice by techspexreviews. Hi, does anyone know if these are wave 2?